"The mall opened in 1972 with the Bay and Simpson's as its department store anchors. It was the fourth fully-enclosed and the first multi-level mall in Metropolitan Toronto. The Hudson's Bay Company, parent company of the Bay, purchased Simpson's in 1978. In 1991, it sold the Simpson's store in Fairview (along with five others that were co-located with the Bay) to Sears Canada." Great vintage sixties interior postcard view of Stouffer's Restaurant at Eastland Center Mall (aka Eastland Shopping Center), in Metro Detroit. Eastland Center is still there today, unfortunately this swanky restaurant is not. The mall is currently anchored by Sears, Target, Macy's, Marshall Field's, Steve & Barry's, and Lowe's Home Improvement Warehouse. 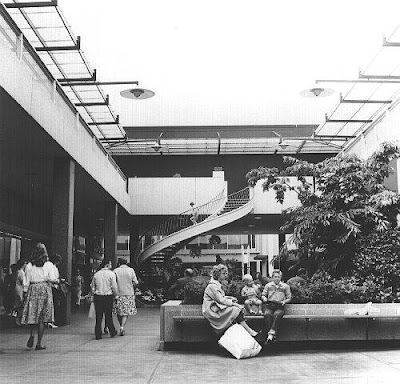 More vintage photos of Eastland Center Mall coming soon! Retro postcard view of the North Whittier Heights Shopping Center (as it was called then) strip mall plaza in La Puente, CA (not an enclosed shopping mall). Stores seen here in this groovy shot include an Alpha Beta supermarket at the far end, Country Club Pharmacy, and Cork & Bottle Liquor. I have no idea whether this plaza is still around today, and if so, what name it might be going by now, etc., but it sure looked swanky back then! Early-sixties photo of the Meier & Frank department store (the chain is now Macy's) at, once again, Lloyd Center Mall--they sure produced a lot of postcards back in the day! Thanks loads to reader, Brian Neuroth, for the cool find! One of the few Lloyd Center shots I don't recall seeing before (somehow). 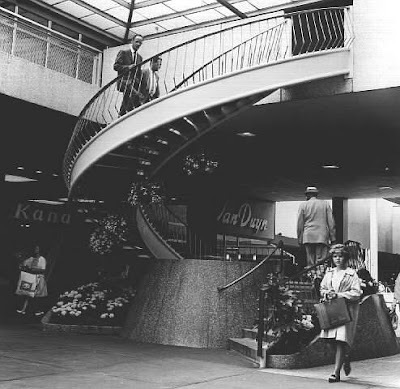 More vintage looks today, at the center court promenade in the Lloyd Center shopping mall (before it was fully enclosed many years later), including that groovy winding staircase, which I've showcased in previous Lloyd Center posts (especially this one, and this one). "The original anchor stores were Meier & Frank at the center, Lipman & Wolfe anchoring the west end, and JC Penney and Woolworth anchoring the east. Nordstrom initially opened as shore store in 1963, before expanding into a full-line apparel store incrementally in the mall's west wing." "Earlier this year, I got inspired to run around and take some photos of Louisville-area signs that have survived through the years (though a few just barely). This little center recently lost its biggest tenant, an independent drug store. Not sure what will happen next, but I wanted to catch the sign while I could. The center itself has been renovated since it was built. The blue neon around the edge was almost completely burnt out on the other side, so this was the best nighttime shot I could get." Two very groovy, happenin' ladies check out the trendy '70s Fall fashions they intend to rock, as they shop at Haber's department store in Fort Lauderdale, Florida. (Excerpt) Once-thriving malls across the nation are closing their doors, being demolished, or shutting down entire wings without any concrete plans for redevelopment. These malls, now considered dinosaurs in the retail industry, are battling for business against glitzier, more modern shopping centers, big box retailers, redeveloped main street shopping districts, discounters and entertainment centers. Traditional malls are undergoing changes of use to storage, university classrooms and new forms of retail. 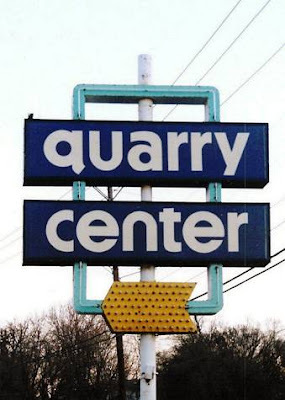 Recently, malls in Landover, MD, Ogden, UT, Muskegon, MI and Johnstown, PA have closed, a mall in Durham, NC is losing its anchor store, while a pair of regional malls in Toledo, OH and one in Oak Ridge, TN are treading water just to stay afloat. A declining mall in Spotsylvania, VA is hoping that the addition of a Costco will help revive the site. "Wonderland Mall, Michigan's third-oldest mall, opened in 1959 in the western Detroit suburb of Livonia. This 850,000 sq. ft. mall had Montgomery Ward as its original anchor. Later on Target, Foland's (a catalog store), Amazing Savings (formerly Mazel's), Dunham's Sporting Goods, and Office Max joined the anchor lineup. It also was the first mall in metro Detroit to offer kiddie train rides, and used that as a selling point in its promotions. 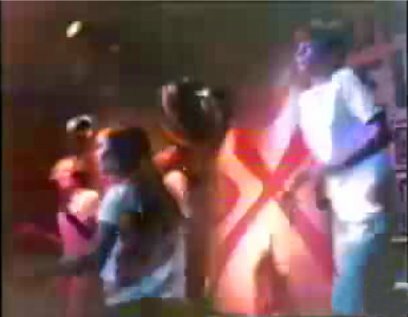 The layout of Wonderland was similar to a 'TTT' look. At the left end of the first 'T' were Wards and Amazing Savings. An AMC 6-screen multiplex was situated at the right end of the last 'T'. The three wings that spurred off the 'T's, from left to right, were Dunham's/OfficeMax, Foland's, and Target." "The mall was opened in 1964 and was the first to include two major Canadian department stores, Simpson's and Eaton's, under the same roof. At the time of its opening, and for several years afterwards, it was the largest enclosed mall in the world. Yorkdale generated a tremendous amount of excitement when it first opened. Before Yorkdale, most people in the Toronto area did their major shopping downtown. Yorkdale was at the edge of the urbanized city, with only farmland around it. However, it was strategically located next to the interchange of Highway 401 and the proposed Spadina Expressway as well as the nearby Dufferin Street; all three major routes have ramps dedicated to serving the mall." "At 10:08am on Saturday April 21,1973. Senior Chess Master Jude.F. Acers of San Francisco made his first move on board 1 of a 117 board simultaneous, a World Record for number of players played all at the same time. It was 13 hours and 4l minutes later when he shook hands with the last player to resign. The event was held in the open area of the Lloyd Center North Mall and drew lots of spectators. One could tell just where the master was by looking for the largest crowd of onlookers. It got dark about 7:00pm and the lighting was not the best from then on. The rain gods held off until the event was over but it was rather on the cool side for last couple of hours. Bob Slayton of Lloyd Center Corp. did a lot of work to setup and promote the exhibition. 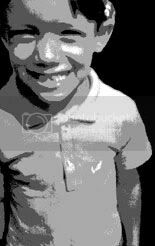 He also played and was one of the last ones to finish." Vintage aerial view of Muskegon Mall in the seventies, shortly after it originally opened. This sprawling shopping mall (created by throwing a roof over several existing buildings and also adding some new ones) located in the historic heart of downtown Muskegon, MI, opened in 1976, but began to struggle for its retail life in the '90s, until finally closing its doors for good in 2001. It has since been demolished and the area is undergoing an ongoing and long-term redevelopment/revitalization process. I'll be sharing some interior photos of this mall as well in the near future. It had quite the funky look going on! "Mall was 'the place to be'"
(Excerpt) MESQUITE – Big Town was big news. The first enclosed and air-conditioned shopping mall in the Southwest, the 77 ½-acre "City of Shops," drew crowds too big to count when it opened on a Thursday in late February 1959. The Mesquite icon boasted not only a shopping utopia, but a small amusement park and a cartoon theater for kids. The Dallas Morning News ran a 24-page section on the opening, making that day's edition the largest weekday publication of the newspaper to date. But through the decades, the crowds that once formed human traffic jams thinned to clusters of bargain shoppers and strings of mall walkers. Eventually, it attracted more folks thrilled to sneak inside an abandoned mall for snapshots of its morgue-like corridors than consumers ready to open their wallets at the remaining stores. When demolition crews began knocking down the peripheral walls late last week, it was a formality for a destination long ago declared dead. "Big Town Mall was constructed in 1959 and was the first enclosed, air-conditioned shopping mall in the Southwest. Some of the surrounding facilities included Bowlanes, A&R Course, Horse and Rider, an Exhibition hall, and a half price shoe store. At one time up to three major chain stores such as JC Penney, Sanger-Harris, and Neiman Marcus were part of the complex. The attached Woolworths was also quite popular due to its sizable inventory and food court. This once popular spot in Mesquite that housed department stores, retail shops, an early form of arcade, and even a movie theater, has since become a derelict building after Montgomery Ward went bankrupt in 2001 and Town East Mall had long since become the new 'hotspot' for local and national retailers. For several years the mall stayed active with privately owned shops targeting urban young." "A major downtown urban renewal project during the 1960s and 1970s saw the destruction of whole downtown blocks in favor of new office building, a city auditorium, and a new street overpass spanning the Grand Forks rail yards. Built in large part as a response to the new shopping malls in Grand Forks, the City Center Mall saw the blocking off of one whole block of South Third Street to vehicular traffic. A roof was built over the street and the entire one-block section became an indoor shopping center. The City Center mall was, in large part, a failure. The 1980s and 1990s saw little development taking place downtown. Indeed, several major businesses such as Griffith's Department Store, Norby's Department Store, and Silverman's clothing store either moved elsewhere within the city or shuttered their doors." Finally, the Red River Flood of 1997 devastated downtown Grand Forks, including City Center Mall (click here for a few photos), and saw to its sudden and final demise. The mall's roof was removed and the interior opened back up again to street traffic and stand-alone shops. Well, not so much mall video, but certainly mod video of Bob Dylan shopping for suits and ties in the mid-sixties in some unnamed shop somewhere (maybe in a mall or strip center, who knows?). I think it's kind of groovy. Outside Georgia's first enclosed mall, Columbia Mall (renamed Avondale Mall in the mid-'80s), in November of 1972. This photo is courtesy of Judy Baxter, who was actually taking a picture of her new Plymouth Duster at the time. Glad she chose Columbia Mall's parking lot for her photo shoot! Some of the stores visible here are: Sears, Baskin-Robbins, Ryan's, Wigs, Thom McCann Shoes, John Couffiers, Walgreen's, Walgreen's Grill, and Davison's, as well as the main entrance. Alas, this mall is now gone. Token demolition began earlier this year in February, and the razing was completed in earnest just a few months ago in March of 2007 (some of which can be viewed here), all to make way for a... any guesses? Yep, a Wal-Mart Supercenter. Many local residents protested the coming of that Wal-Mart in place of the abandoned Columbia/Avondale Mall (see their grassroots Stop The Avondale Mall WalMart page for proof of their retail unrest). Note: The aerial link below is obviously a little outdated now, as it still shows the mall's structure (look for Belvedere Plaza Shopping Center just to the South). "Big retailers bypass Woodville Mall environs"
(Excerpt) The Woodville Mall in Northwood is up for sale, and it is surrounded by plenty of vacant space. But retailers are bypassing Woodville Road near the mall, many of them in favor of Navarre Avenue in Oregon. Among companies making that choice are Meijer, Wal-Mart Stores Inc., and recently, Menards. The mall area did attract one new retailer, Steve & Barry's University Sportswear, which moved in last fall. "I don't know why it is. … I wish I had a magical answer and I would suggest a solution" for why Woodville Road east of I-280 isn't growing, said Northwood Mayor Mark Stoner. The last Sears wall at the abandoned Columbia/Avondale Mall is razed to make way for a new Wal-Mart Supercenter in its stead--much to the dismay of many local residents (which you can read about in another Columbia Mall entry). Such a sad sight for anyone who's a vintage mall lover. Note: This video is only part one of four. For your viewing convenience, I put them all on one page in a playlist at YouTube, if you'd like to go watch the rest after this one. Click here for the playlist. As you can see, the current stores include the typical generic type of modern lineup (i.e. boring): CVS, Rent-A-Center, Blockbuster Video, Dollar General, Fantastic Nails, First Payday Loans, Verizon Wireless, Jackson Hewitt Tax Service and Dollar Tree. Yuck! Here's another vintage aerial postcard (yes, it looks like dirty mall pr0n) of Coral Ridge Mall. Card dates back to the sixties, I believe. I'm still trying to pinpoint what year this shopping mall first opened. I'm also not sure why the mall doesn't appear to maintain an official website (if they do, I sure haven't been able to find it), but current anchor stores are Target, T.J. Maxx, and Marshalls, last I heard. "To the left right in front of Penny's is a Publix supermarket which is still open. Move further down in the picture and you will see the old Plitt Theatre (saw King Kong in '76 there), which was a nightclub last time I checked. I have never seen another building, much less a theater, that had this great architectural concave at the top of the roof. Very art deco-esque. The interior had these wonderful skylights which let in ample yet understated lighting on a bright, sunny day. The ceiling was in a wave-effect pattern which only added to the mall's beauty. I also remember a small arcade where I saw Pac-Man for the first time! (It was on the left corridor exiting Penny's in the mall). They've since built a bigger arcade in almost the exact spot, but it wasn't as magical as the original. Here is a current arial view of the mall in almost the exact frame. Notice all the new condominiums that have popped up over the years. This section of Ft. Laud is extremely affluent and ritzy, not to mention the property value has gone through the roof since the 70s. It's a realtor's dream." Aerial photo of the Town & Country Shopping Center as it looked under construction in 1958. An interesting and raw look at the early stages of a shopping center's development (compare this with the finished, modern aerial view). Can't find much background on this Town & Country Shopping Center, but it appears it's still around today. I've linked to a current aerial below, and do see some passing references to it being made on Google here and there. 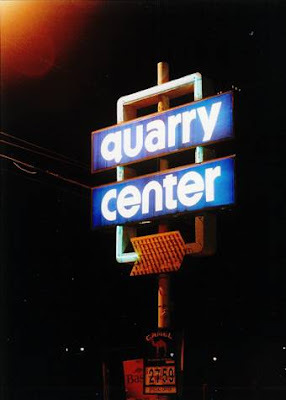 Don't see an official website or anything much in the way of solid historical info, so if anyone else out there is familiar with this shopping center I'd appreciate a few details. I'm mainly wondering what year it opened, and also, what its current retail health is like these days--assuming it still has some.